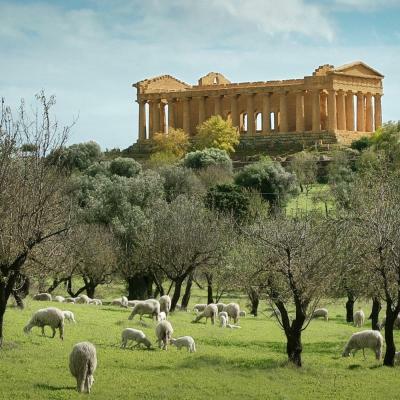 The Temple of Hera Lacinia, or Juno Lacinia, is a Greek temple in the Valley of Temples in Agrigento. 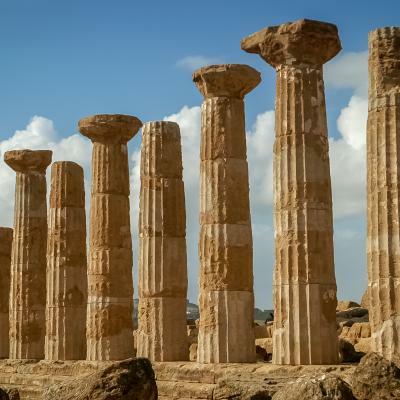 It was built in the middle of the fifth century BC, about the year 450 BC, and in period and in style belongs to the Doric period. 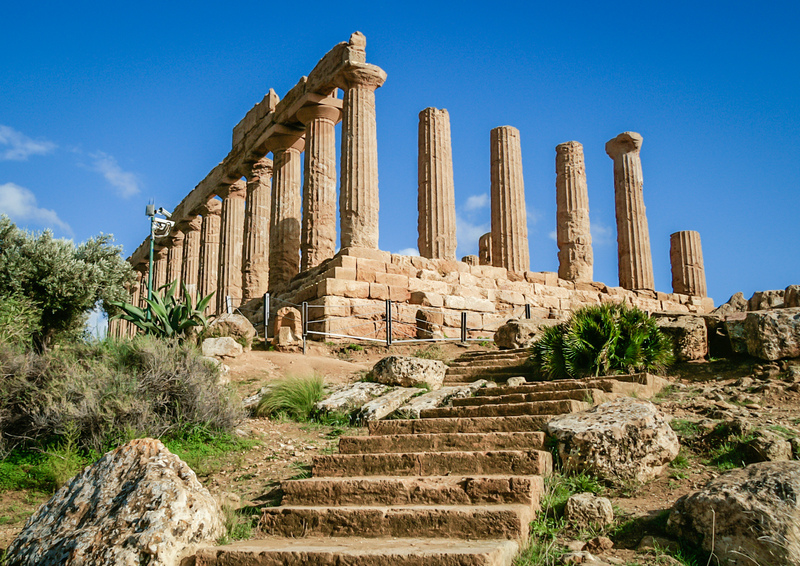 Signs of a fire which followed the Siege of Akragas of 406 BC have been detected, and long after that the temple was restored at the time of the Roman province of Sicily, with the original terracotta roof being replaced by one of marble, with a more steeply inclined slope on the eastern side. 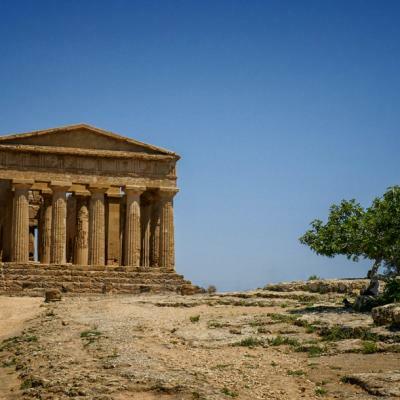 The temple was originally dedicated to the Greek god Hera, Roman Juno.